Issue 11 includes an exciting line up of articles. Also weighing in on children’s health is clinical nutritionist and medical herbalist Angela Frieswyk whose article “Corporate philanthropy grows a milk drinking generation” discusses the distribution of free cartons of UHT (ultra-heat-treated) milk in NZ primary schools and asks whether this is a good idea…given the large number of childhood ailments linked to the consumption of processed milk…and the growing obesity problem in NZ children. Dr Gabriela Segura explains how ketogenic diets are not only useful for epilepsy, but provide many other metabolic benefits, including efficient weight loss. Dr Michael Godfrey’s article “The Fluoride Debacle” provides a sobering comparison of how NZ health statistics compare unfavourably with countries that have abandoned water fluoridation, but are comparable to similarly depressing statistics in terms of infant mortality and cancer incidence in countries which still add fluoride compounds to the public water supply. 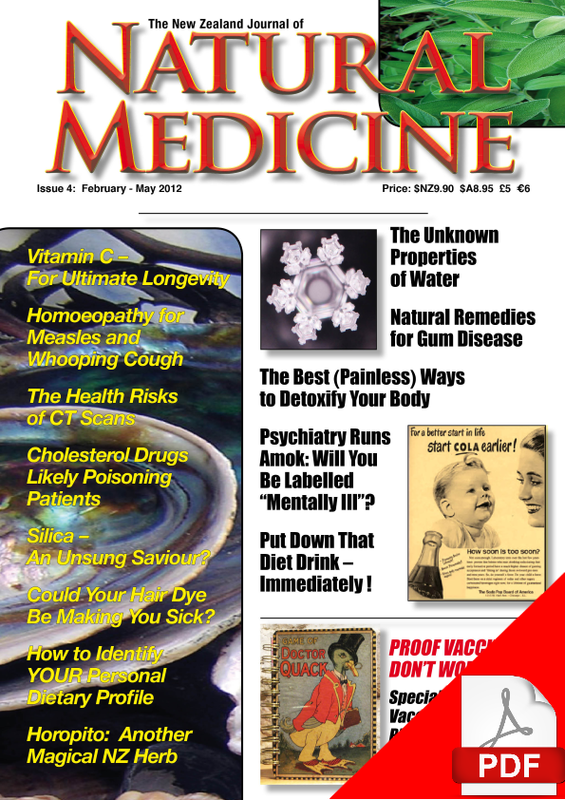 Anne Gastinger investigates a time honoured detoxification technique in her article “Sauna’s Cleansing Power”, while homoeopath Lee-Anne McCall discusses how homoeopathy can provide a safe treatment for ear infections, and may obviate the need for grommets in some children. 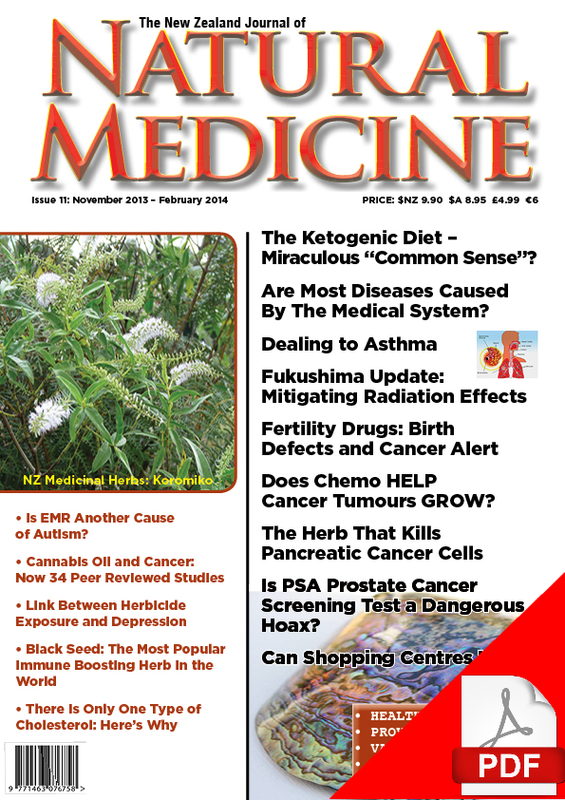 Sayer Ji, PhD has contributed an article on Nigella sativa, colloquially known as “black seed”, this Middle Eastern herbs has numerous applications from treating asthma, high blood pressure and seizures to helping to treat infections and is also being investigated for its anti-cancer activity. To New Zealand native flora, and herbalist Amy McComb has contributed an article on Koromiko (Hebe stricta) fondly remembered by many older New Zealanders as the native plant that helped save the lives of NZ serviceman during World War II, large quantities of it having been picked and dried and shipped to soldiers in overseas locations where death from dysentery was a real possibility without an effective treatment such as was provided by Koromiko. 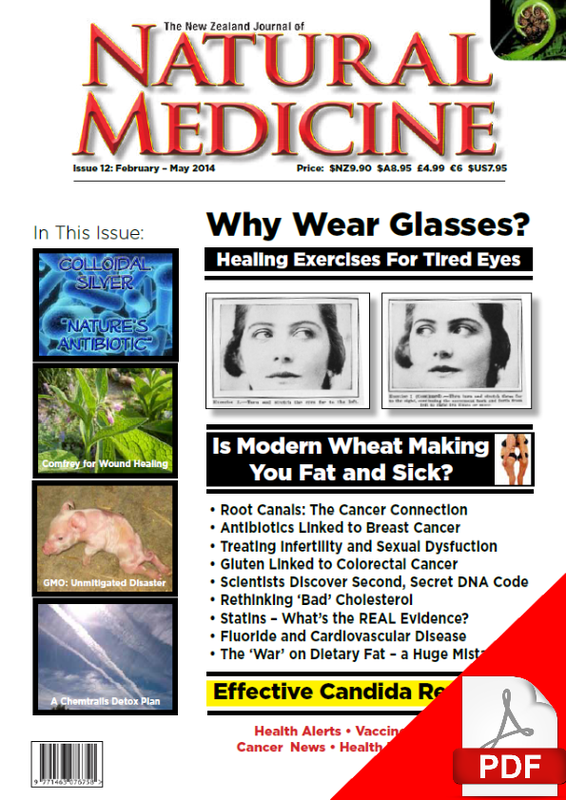 Also in this issue, how a turmeric extract may prevent type 2 diabetes, advice for protecting your health in the light of increased radioactive contamination of the environment from Fukushima, and how drugs commonly prescribed to treat “mental health” problems may actually shrink the brain. In the reviews section of this issue, editor Katherine Smith discusses Dr Nicholas Gonzalez’s award-winning new book What Went Wrong that details how the clinical trial of the enzyme and nutrition based therapy for pancreatic cancer was sabotaged. 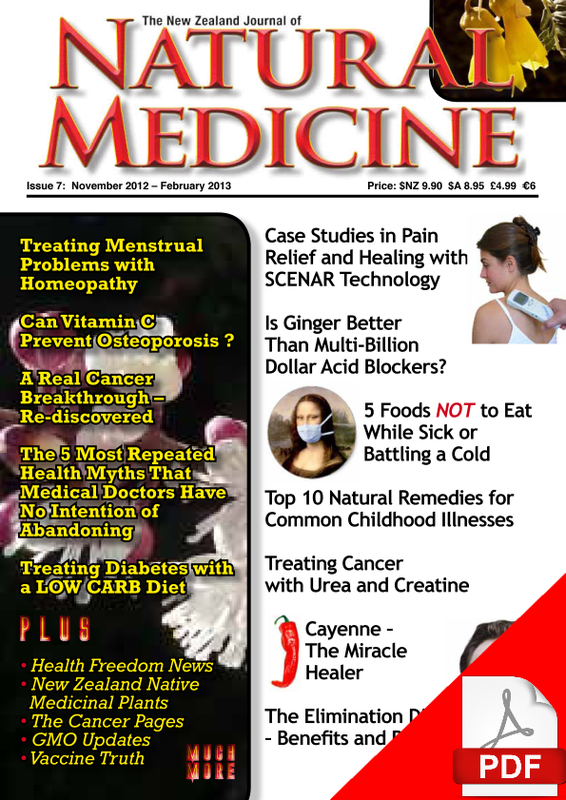 She also reviews a new book by naturopathic and osteopathic physician Michael Sichel about the research by American surgeon Dr Prudden, who pioneered the use of bovine tracheal cartilage extracts in the treatment of cancer, and book on simple meditation techniques to help busy people de-stress and enjoy life more.